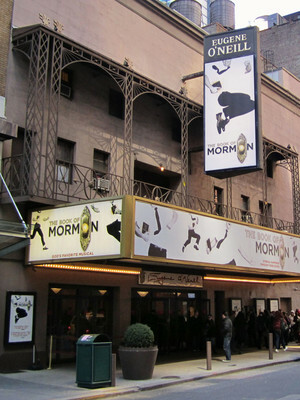 This Broadway theatre first began life in 1925 as the Forrest Theatre, designed by architect Herbert J. Krapp and built for the Shuberts as part of a theatre-hotel complex, named after the 19th century tragedian Edwin Forrest. Later on, the theatre was renamed the Coronet in 1945 following renovations by architects Walker & Gillette, before being once again rechristened the O'Neill in 1959, honoring the eminent American playwright. 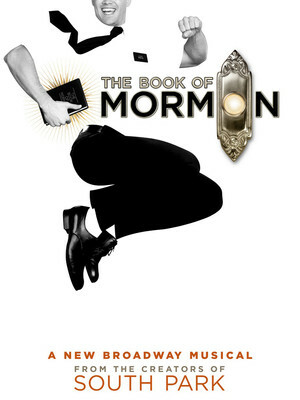 It now forms part of the Jujamcyn Theater Company and has staged a host of award-winning productions before becoming the incumbent home of the Book of Mormon since 2011. Please note: The term Eugene O'Neill Theatre as well as all associated graphics, logos, and/or other trademarks, tradenames or copyrights are the property of the Eugene O'Neill Theatre and are used herein for factual descriptive purposes only. We are in no way associated with or authorized by the Eugene O'Neill Theatre and neither that entity nor any of its affiliates have licensed or endorsed us to sell tickets, goods and or services in conjunction with their events.